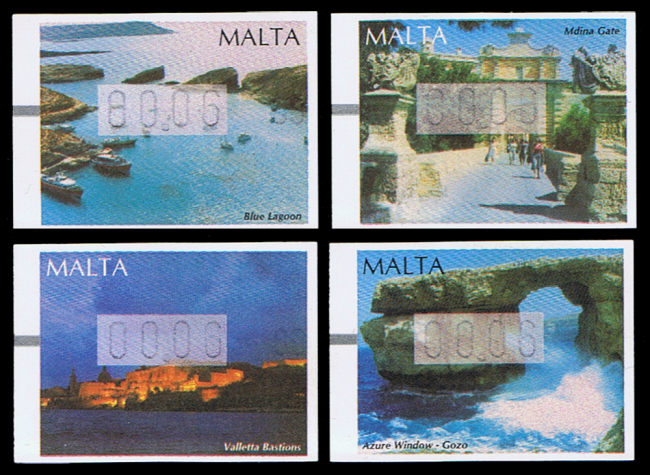 Help with identification a set of Malta stamp? Can not find this in my Scott Catalogue. Like to know the year and any catalogue number. Songpon, Think they are Frama Labels.. Issued in 2002. the ATM issues.